ON May 6, this year, I wrote a piece titled “Fans’ disappointed with Multi-Choice” in which I registered the collective wrath and disappointment of a legion of boxing fans who were denied a chance to watch live the blockbuster world championship fight between champion Anthony Joshua and Wladmir Klitschko which Joshua won. A week later, I wrote another article titled, “Multi-Choice had no screening rights”, which was a response to my previous week’s article from Supersport Operations Manager – Southern Africa Marlon Kananda. 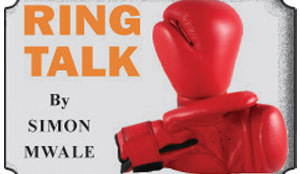 This past week, was a repeat of what happened in May as boxing aficionados called me or sent me a deluge of text messages and posts on Facebook in which they took turns to blast the pay-television broadcaster for failing to live up to expectations. Most of the comments are unprintable and I have picked only the heads of argument for this article. What annoyed the fans most was that on Saturday evening, September 16, SuperSport screened two fights -the WBO middleweight clash between Billy Joe Saunders and Willie Monroe Jr from England and in the morning of September 17, they showed the super fight for the WBC/WBA/IBF middleweight unification pitting Gennady “GGG” Golovkin against Mexican star Saul Canelo Alvarez in Las Vegas, US. Now, forget the Sanders-Monroe scrap; the fight real boxing fans had been waiting for which took years to make was the Canelo-Golovkin one. SuperSport, in fact, even showed pre-fight highlights on their channels. But when it came to showing the event to all their subscribers, they had the incredible cheek and audacity to exclusively beam the fight to their South African subscribers only! No explanation or reason was given for this clearly emotionally insensitive, callous and shameful decision. The central argument from the Zambian fans and I believe fans from other African countries such as Nigeria, Zimbabwe, Kenya, Malawi, Uganda, Ghana to name a few, is does SuperSport have any morality, let alone respect for it clients in these countries other than South Africa? What was SuperSport’s rationale in blacking out the rest of Africa when all these clients pay subscription? Is the South African Rand more valuable than the Zambian Kwacha, the Botswana Pula, the Ghanaian Sedi, the Tanzanian, Ugandan or the Kenyan Shilling? Assuming that’s the case, then why seek expansion of your business to these countries whom you treat or regard as third class? When SuperSport failed to show the Joshua-Klitschko fight they pleaded a lack or denial of screening rights. Fans like me and others, I believe, accepted this as a reasonable excuse. The question now is, if they were able to screen in South Africa, what challenge did they face in screening to the rest of their paying subscribers? We need honest answers and not sugar-coated half-statements. I have a suggestion for SuperSport, why waste your time on third-class customers outside South Africa? Concentrate on South Africa and leave us alone. I challenge other pay television operators in Zambia and other countries that mean nothing to SuperSport’s coffers to take note of this irrational and segregative conduct and seize the chance to be innovative and capture the many disappointed and dissatisfied clients.